This entry was posted on January 29, 2019 by chris elliott. Anti-slip lacquer is a protective surface finish that is added to your bamboo flooring during production. Layers of lacquer are added to all bamboo floors as the final part of production. The lacquer itself has a matt appearance. This will not change the colour or texture of the flooring planks. It just helps to protect them from daily wear and tear. The anti-slip part of the lacquer provides the flooring with the added benefit of slip resistance. It is great for households with children or pets. You floor will provide a slight resistance against slips. 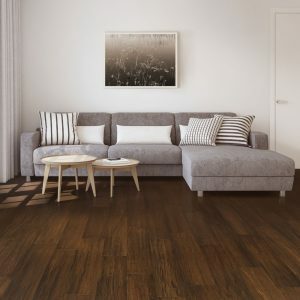 The lacquer which has been added to the bamboo floor has been tested to British Standards. How do I clean anti-slip lacquer? Cleaning and looking after a bamboo floor with an anti-slip lacquer is simple. All you will need to do is sweep the surface of the floor with a soft brush. We recommend doing this daily to prevent a build up of dust and dirt. Then clean the floor with a wooden floor cleaning spray. 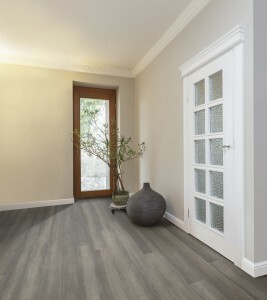 We love the Bona Wood Floor Spray. It has everything you need. The spray is gentle enough to clean the floor without damage, and the mop has a removable pad, which can be machine washed. Alternatively, you can use a mop with water, but it must be wrung out. Excess water on the surface of your floor could lead to damage. There are some products you should avoid: acidic cleaners, abrasive products and furniture polish. These can all be detrimental to your bamboo. For more advice on cleaning your bamboo floor, see our Cleaning and Maintenance Guide.